2 minutes from exit 45 (Lormont) on the A10 highway from Paris and near exit 27 on the bypass coming from Toulouse. 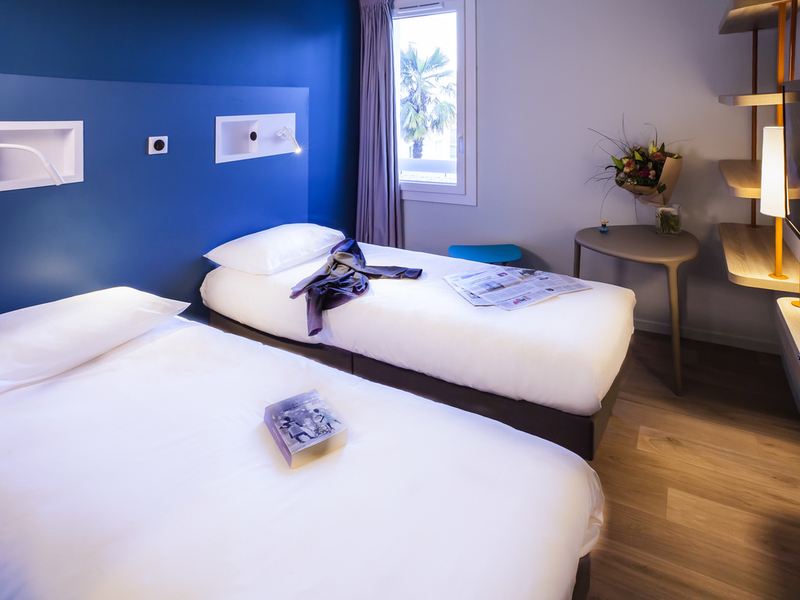 The ibis budget Bordeaux Lormont offers air-conditioned and soundproofed rooms with private bathroom, TV and free WIFI. The Lauriers tram s top gives direct access to the center of Bordeaux and is located 656 yards (600 m) from the hotel. Reception open from 6am to midday and 4pm to 9:30pm during the week and from 7am to midday and 5pm to 9pm on weekends. Private enclosed car park.